Salerno is to be the home of one of the first projects in Italy to offer medical and diagnostic assistance to leisure boaters. The founders of the initiative are Marina d’Arechi and Centri Verrengia. This morning an agreement to this effect was signed by the president of Marina d’Arechi Spa, Agostino Gallozzi and the owner of the prestigious Salerno based medical centre Domenico Verrengia. Following this agreement, a specialist medical point will be created within the harbour on Via Salvador Allende. More specifically, the agreement creates the possibility for leisure boaters to have general and specialist medical assistance from the Centri Verrengia, as well as to undergo diagnostic tests and clinical analysis. On a case-by-case basis, and on request from the clients, these services can be carried out on board the moored vessels. Leisure boaters visiting the medical centre, which will be open every day from 7am until 9pm, will be accompanied by a private shuttle service. Safety first. This has always been at the heart of the list of services offered to tourists by Marina d’Arechi. After being equipped with a defibrillator and having trained most of its staff in first aid and emergency manoeuvres, the harbour adds a further safety focused service to the list. “Marina d’Arechi has always directed a great deal of energy not only to the care of the vessels entrusted to us, but also, perhaps especially, to the wellbeing of the leisure boaters who come to us to enjoy a holiday in peace and safety”, underlines the president of Marina d’Arechi Spa, Agostino Gallozzi. “The agreement signed today adds further to the rich tapestry of services of this type that we are developing in addition to strictly ‘port’ services, including care, assistance and entertainment”. “We are delighted to have stipulated this agreement”, adds Domenico Verrengia, owner of Centri Verrengia. “Thanks to our mobile radiology unit, leisure boaters will be able to undergo radiological examinations directly within the harbour. 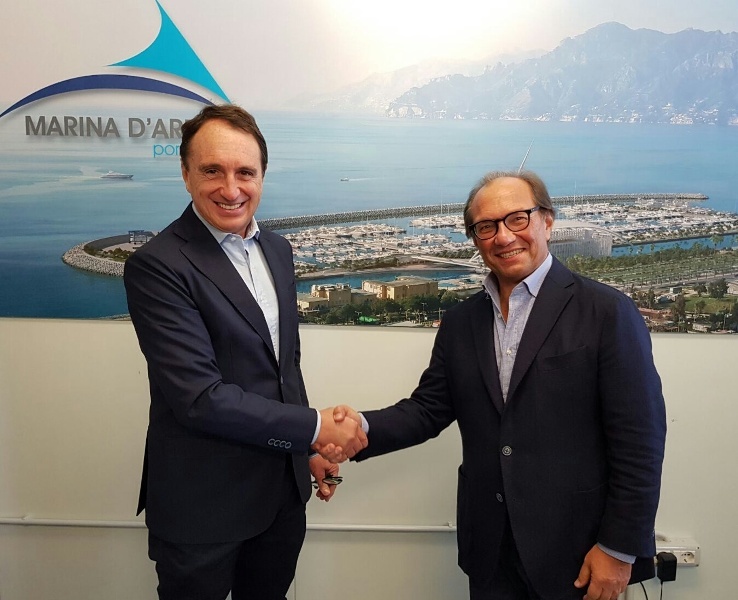 With Marina d’Arechi we have begun an innovative partnership which will certainly improve safety for leisure boaters while providing ulterior prestige for the city and the surrounding area”.